Continuing our tradition of Internet-connected Christmas projects, we’ve hooked up the huge LED wall on the side of FACT to Twitter. It’s a reworking of the PixelCheer project we did back in 2014. 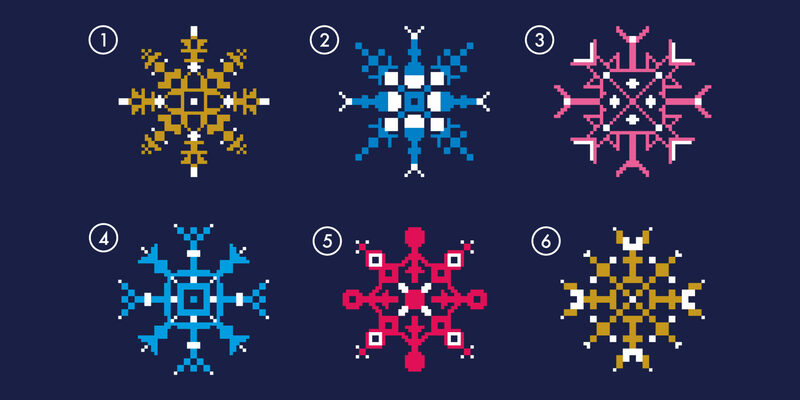 Anyone on Twitter can choose from one of six different snowflake designs by tweeting “#SnowflakeTrail” and the snowflake number - 1 to 6. Including a colour in your tweet will also set the colour of that snowflake, and we’ve also connected it up to the tried-and-tested #Cheerlights API so it will react to tweets setting the colour of Internet-of-Things projects in unison around the globe. You’ll be able to see it in and around Ropewalks Square at the top end of Bold Street and Wood Street in Liverpool until 3rd January, but if you can’t get along to see it in person you can watch it online at pixelcheer.mcqn.com.